So England arrived in Barbados. A month and a bit had passed since they were last on duty, for those cricketers who moan about tiredness and playing twelve months a year, apart from those who filled their time off picking up a few Aussie dollars in the Big Bash League. They had arrived in the Caribbean to surely win a series easily? A nice bit of sun, sea, a few rum punches and an easy 3-0 series win would be a far better way to spend January than scraping ice off your car in the dark at 7am. Did it play out like that? Erm not really. England were as undercooked as botulism chicken. This is a review of the Bridgetown Test. Selection was a tad controversial. England left out Stuart Broad and played two spinners. The Windies played four seamers. Someone was going to get it wrong. Even playing two spinners, who would miss out? Jack Leach was the unlucky one, with Sam Curran given the new ball. Windies won the toss and batted. John Campbell on debut opened up with the man who can't spell either Craig or Braithwaite but Kraigg Brathwaite on his home ground, gave his side a solid start. The classy Shai Hope came in and got a 50 but the innings was lit up by Shimron Hetmyer. Dropped early, he went after the England bowlers, launching them somewhere in the region of South America at times. Jimmy bowled beautifully, Stokes worked his arse off. Windies were 289 all out, nine wickets for our senior seamers. Hmmm. When England batted it was a mixture of good bowling and shocking batting that ensured England were shot out for a mere 77. 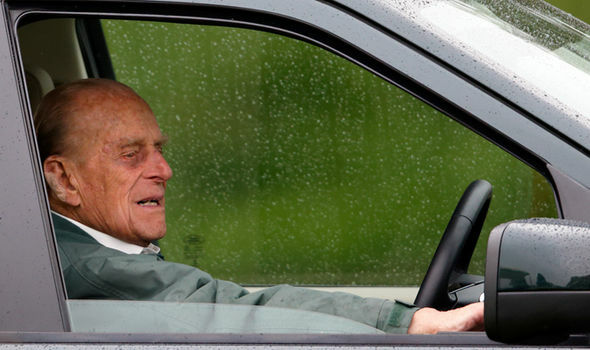 Prince Philip hasn't been as loose with his driving, although unlike Phil the Greek, England were never going to make 97. I'm surprised that Theresa May hasn't employed some of our batsmen as they made a clean exit from the crease without a thought for the future relationship. This was more soft at Bridgetown than Hard Bourda. There was freedom of movement between the middle and the England dressing room, that's for sure. Take nothing away from the trinity of Windies bowlers. Kemar Roach, the angelic Gabriel and Jason Holder all made England batsmen play. Roach was the star man with 5-17. Windies batted again and despite losing some early wickets to give England a glimmer of hope it was two Bajans on home soil who broke English hearts. Holder played a skipper's knock as he rattled up a double ton, supported ably by Dowrich. England looked broken. Windies declared having set them 600 plus. Even so, the bookies only offered 22-1 for England to chase it down. They had two hopes - Shai and none. 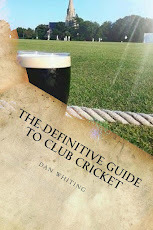 England started off well but Jennings again failed to stop the doubters. Burns, on Burns Night, looked good for his 80 odd but too many batsmen got in and got out. I don't know if Roston Chase sounds like a village in an Agatha Christie mystery, a service station on a motorway or a handicap at 2.45 from Plumpton racecourse but I do know that he went through the English batting picking up 8-60. England were comedy gold - more Chevy, than Roston Chase as they collapsed to a National Lampoon's Disgrace on their Caribbean vacation. England had been pumped. Thrashed. Got licks, as they say in this part of the world. By a mere 381 runs. Firstly, it is great to see the West Indies returning to being a good side. As someone who grew up when they dominated the game, too many years of inter island politicking, cash wrangles and greedy players chasing the dollar rather than playing for pride in the maroon cap, has ruined the game there. Test cricket needs a strong West Indian side and it would be great to see them return to the top table of cricket's brasserie. 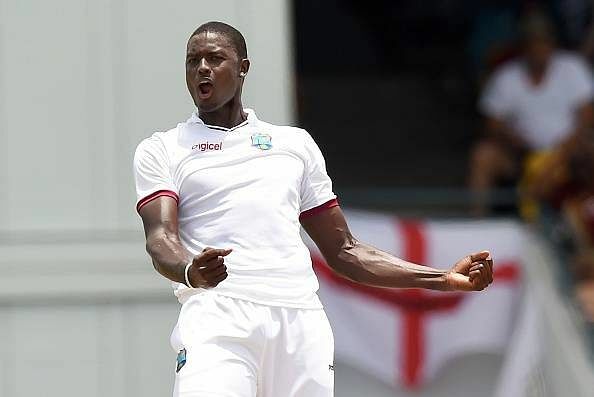 Jason Holder, a captain who handles himself with great dignity on and off the pitch, should be proud of his side. As for England, this was way below what we expect. A poor Sri Lanka apart, the last few tours have been marred by not acclimatising. Playing one 15 man a side, two day game left us as prepared for Barbados sun as the white bodies of the travelling supporters that permeated the stands. Remember the P's - Piss poor preparation produces poxy performances. I'm not sure that the selection was right either. The batting is a problem. Jennings struggles versus pace, is Bairstow a three? What's happened to Ali's batting? In the last year, we have been worked over in Australia, THAT 58 in New Zealand and now 77 in Barbados. There is a problem somewhere - whether that problem lies in preparation, coaching or technique I'm not sure. England need to bounce back. And sharpish. To misrepresent that Bajan knight, this was a Sobers-ing defeat. Hopefully a wake up call. As a team we are clearly over hyped. Hopefully will bounce back for 2nd test.